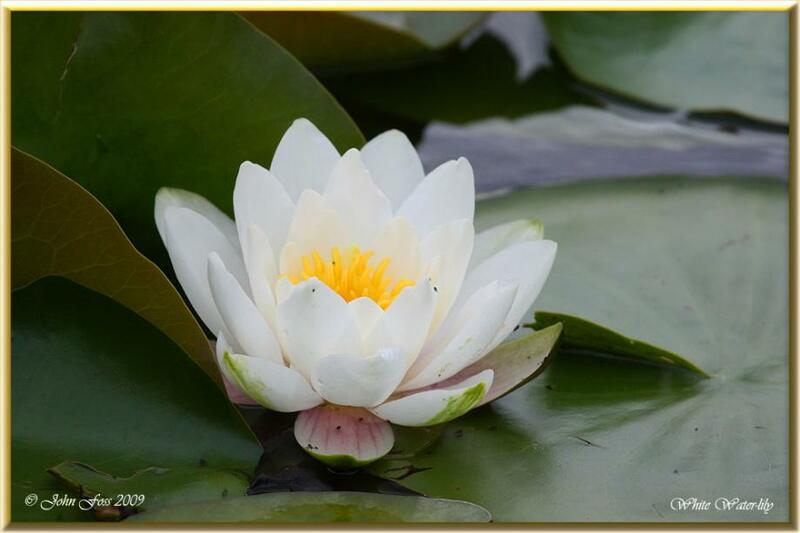 White Water Lily - Flowers to August. Found in slow moving rivers, ponds and lake edges. Lovely large fragrant flower heads.